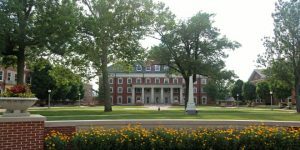 While all college applicants are encouraged to make campus visits, visiting colleges can be expensive particularly when visiting geographically distance campuses. The average college applicant now applies to seven or so schools, and some applying to highly selective schools apply to many more. With so many colleges under consideration it is tough to visit every school. One effective way for students to begin to research colleges from the comfort of home is through the use of free online virtual college tours. 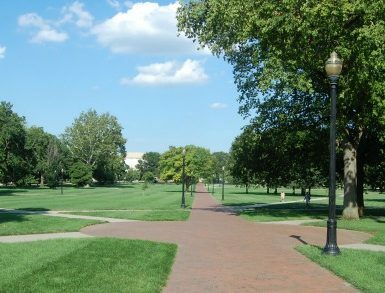 Many colleges and universities are using technology to offer prospective applicants the feel of walking on campus. The graphics and animation are often quite sophisticated. Students can get a sense of what it is like to walk the campus and get a feel for the library, dorms, science labs, arts facilities, student union, and classroom buildings. Making stops along the way students can click on videos or text to learn more about the history of the campus and what they can expect as an enrolled student. Virtual tours are most helpful for getting a sense of the geographic layout of campus and the style of architecture on the campus. You should be able to get a sense how spread out the campus is: whether the library is centrally located and how close dorms are to classroom buildings. Many tours let you to link up with maps or Google street view as well if you want to get a sense of how the campus fits into the surrounding city or town. Obviously there are some limitations of a virtual tour. 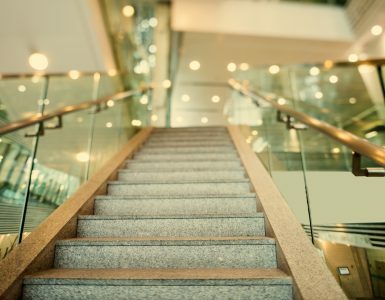 As virtual tours are largely an expensive marketing tool for colleges, much like college brochures you should realize you are seeing a very carefully selected view of campus. You’ll see the prettiest buildings during the nicest seasons of the year. You won’t see the drafty dorm with the bathrooms at the end of the hall or the outdated classroom overdue for a renovation. You can’t really get a sense for the student population on a virtual tour. You won’t have the opportunity to eavesdrop on conversations or get a feel for how friendly campus is or how seriously students take their studies. And of course you won’t be able to taste the food in the cafeteria! EcampusTours – Offers site visitors a chance to visit over 1,300 U.S. colleges. Students can get a 360 view of colleges including MIT, University of Colorado, Bucknell, Loyola, and Reed. The search feature also allows students to search not just by region but by school type, cost, and admissions competitiveness. YouVisit – This site features graphically sophisticated virtual tours of hundreds of campuses. Schools you may wish to visit include SCAD, Northeastern, Vanderbilt, University of New Haven, and Penn State. If you find a college you are interested in click the link to connect with the college admissions office to request more information or complete an application. YOUniversityTV – This site produces narrated video visits of campuses around the country. The announcers are a bit cheesy but the videos are helpful to get a quick five minute overview of campuses that might interest you. YOUniversity allows you to search by region or other distinctions such as party schools, most beautiful campuses, and best sports. 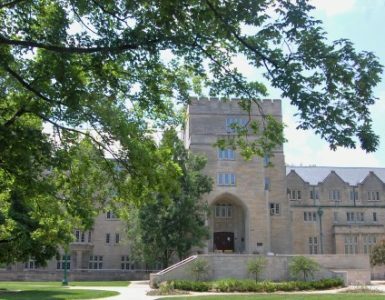 On this site you can take a virtual tour of colleges such as Boston College, Duke University, Stanford, Emory, and Ohio State University. YouTube – College student produced “Day in the life of” videos give your student the chance to follow around a college student on the campus of their choice. As these are self produced videos quality varies and it may be of most interest if the vlogger is similar to your student. Here are a few to get your student started. A day in the life at Harvard. A day with at Georgia Tech. 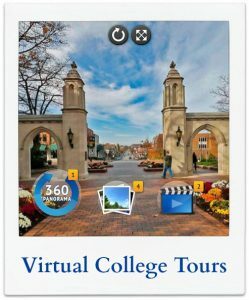 Many colleges also offer virtual tours built in to the admissions section of their websites. If you’ve always wanted to see what Harvard is like but you can’t make it to Cambridge, visit the Harvard admissions website and take the virtual tour. If that’s not enough Ivy League you can also check out Dartmouth and Yale all from the comfort of your own living room.